Kathy is the secretary at the School of Business at Southern Oregon University. Our family has known and appreciated Kathy for a long time. She has helped us to navigate the myriad details of college life with skillfulness, empathy and a sense of calm that is admirable. Kathy does not reserve this behavior for a chosen few – she is professional, courteous and respectful to everyone who comes to her desk. And when you are a stressed out college student, having someone like Kathy around to help you is a real blessing. When my daughter, Alex, arrived back on campus last week after having been away on exchange for two years, Kathy made such a fuss over her. As a parent, it felt wonderful to witness that warm welcome. And I am sure it helped Alex feel a bit more at ease. Today I baked a sausage and roasted pepper quiche for Kathy. I thought that a woman as busy as she is might appreciate having dinner made for her. When I arrived at her office, I found out that she had already left for the day. 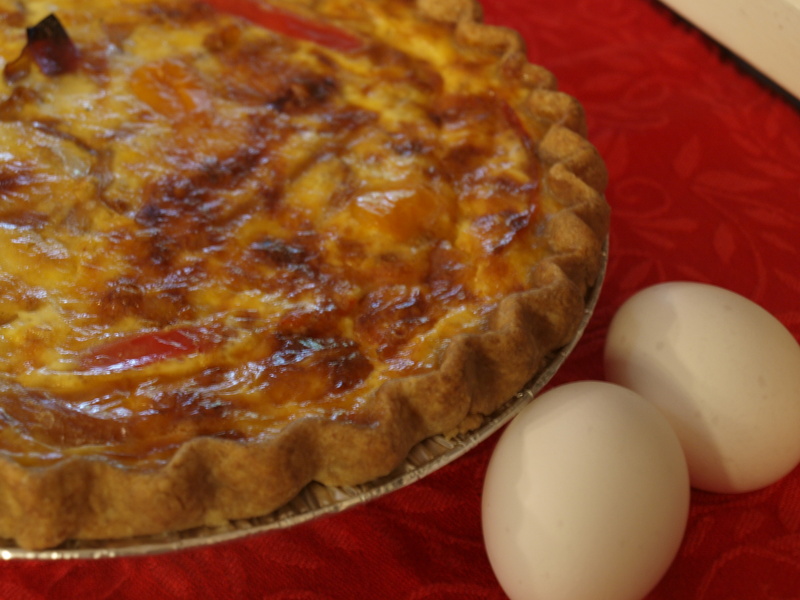 Fortunately, Kathy does not live far from campus and so I delivered the quiche to her home. Kathy invited me in to chat for a bit. As we sat and talked I learned something new about her. She and her husband originally came to SOU to be campus ministers more than thirty years ago. And while they are no longer active in that capacity, in a way, Kathy is still doing that kind of work – because she helps people every day.